Published: June 26, 2016 • Modified: October 29, 2018 • by Author: Analida • Word count:694 words. • About 4 minutes to read this article. I love scones in any way shape (there’s only one shape, really) or form. Savory ones too? Yup, absolutely! 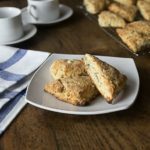 Savory feta walnut scones are the perfect afternoon snack, breakfast, or a great addition to the dreaded department meeting. Move over doughnuts! A few weekends ago I went to a retirement party for a dear colleague. She will be moving to sunny California. Who can blame her after 30 years in the frozen north? I am so happy for her. Anyhow, I digress. About the party everyone brought something delicious. One of my colleagues brought blue cheese and pecan scones. They were to die for! So, I thought: “Hmmm…, maybe I can tweak the recipe just a bit and come up with a similar flavor profile. So, voila! 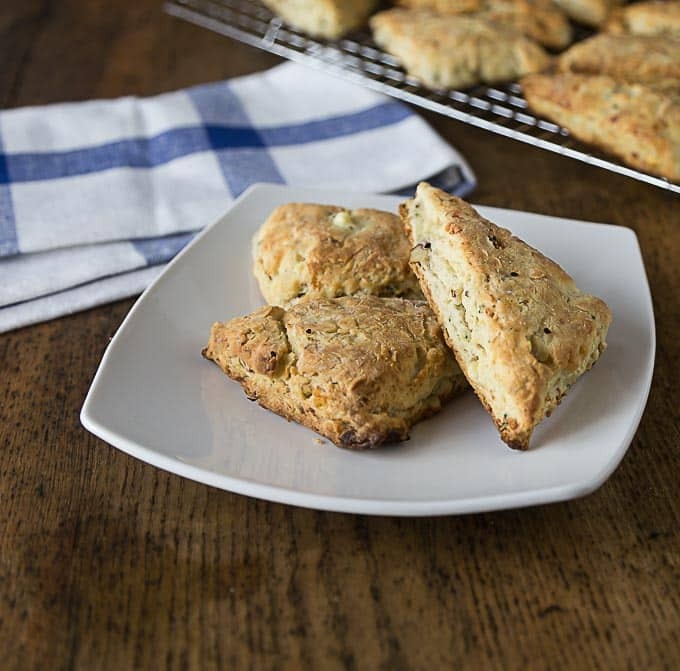 Savory feta walnut scones, just for you! Don’t worry if they don’t come out looking the same. Scones are kind of rustic, so if they seem a bit uneven, that is definitely part of their charm. 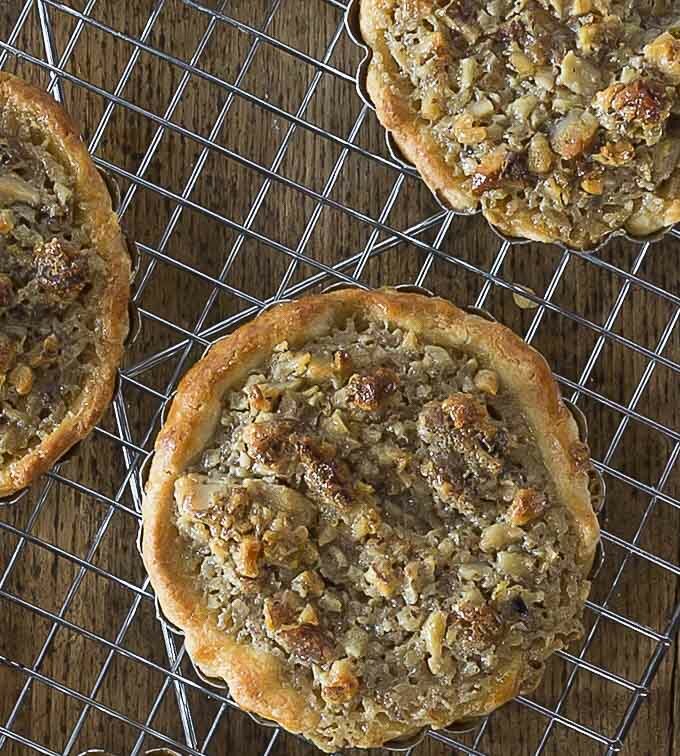 Crunchy edges, soft interior with bits of texture from walnuts. Pops of saltiness from the feta make for a delicious snack, or light meal with a side of greens. The origins of Feta date back to Ancient Greece, where it is mentioned in many literary sources. For example, the Cyclops in Homer’s The Odyssey prepares a cheese from sheep’s milk that is believed by historians to be feta. Feta is also thought to have been traded across the Mediterranean sea in special cask. Feta has been produced using the same techniques for thousands of years. It can be made with sheep’s milk or even goat milk, however there are strict rules that regulate how it is produced. Greek producers have the stipulation that at least 70% of the product be made of sheep’s milk. This process has been regulated since 1935. The great thing about feta is that is develops as it ages. I will soon be trying my hand at making feta, so stay tuned. For a pop of color, sprinkle nigella seeds on the scones when you take them out of the oven. 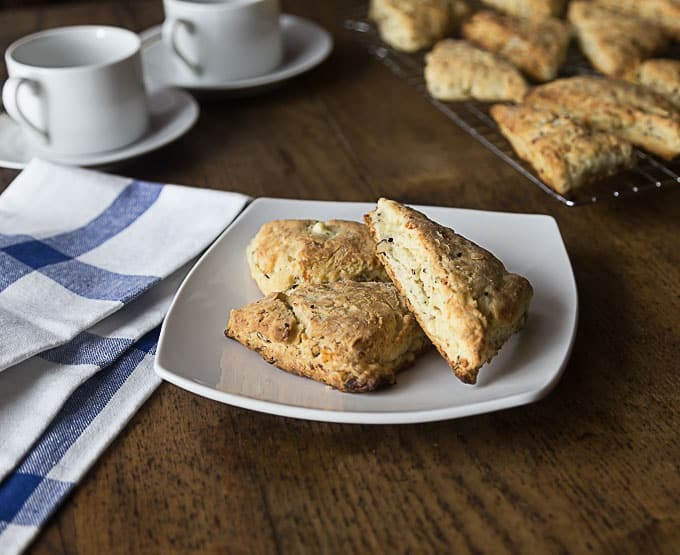 Whether you want a light lunch/dinner, you can pair up these savory feta walnut scones with a side of greens or a fruit salad. 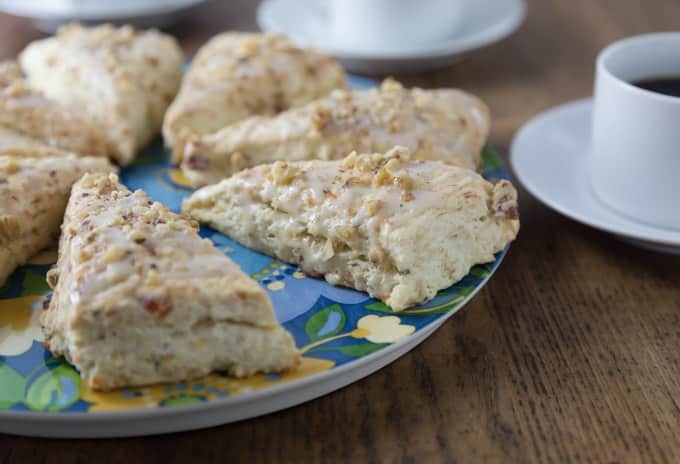 Any which way you choose to enjoy them, I hope you will agree with me that these savory feta walnut scones truly rock! 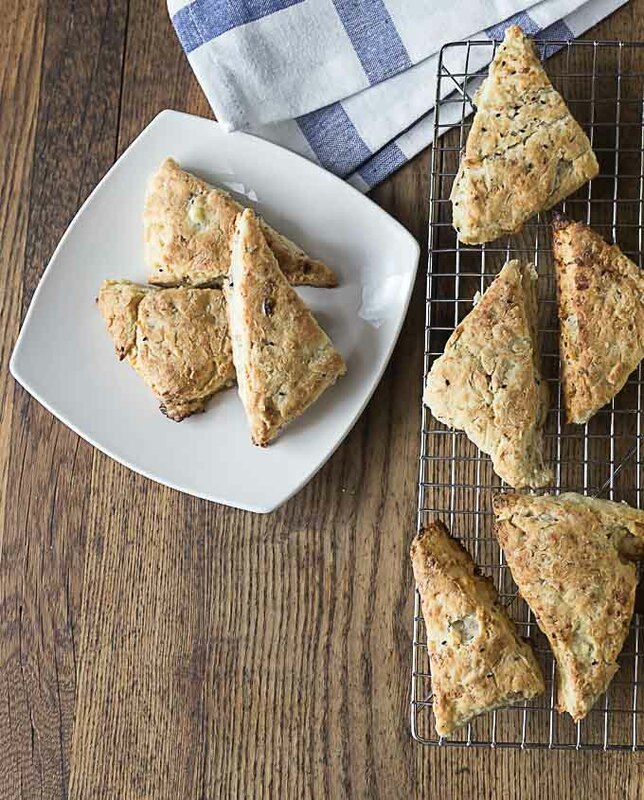 Melt in your mouth savory feta walnut scones. These have a crispy, crumbly and salty combination of flavors. Place in a small non-stick skillet with 1/2 Tbsp. of sugar and 1/8 tsp. cayenne. Move walnuts around with a wooden spoon until completely coated with the sugar and cayenne and until the sugar begins to caramelize. Remove from heat and allow to cool until ready to use. In a food processor place flour, baking powder, salt, and sugar. Pulse a few times to combine all the ingredients. Add in the butter and continue to pulse until the mixture forms resembles a coarse meal. Transfer to a large bowl. Add the feta candied walnuts, and parsley. Slowly add in the heavy cream while mixing with a spatula or wooden spoon. Transfer to a floured surface and knead the dough until in comes together. The dough will be moist, but able to be rolled. Using a rolling pin, roll out dough into the shape of a rectangle that is about 12" x 6" by 3/4". Cut the rectangle in half lengthwise. You will now have 2 rectangles that are 12" x 3". Cut each rectangle into 6 pieces. Cut each rectangle across in order to make two triangles. Line a baking sheet with parchment paper and place rectangles on top. Place in the freezer for about 10 minutes. Brush with cream and sprinkle with nigella seeds. Bake for about 15 minutes, or until cake tester comes out clean. I absolutely LOVE feta so these are right up my alley! Can’t wait to try them! The recipe is lovely, but even better is the info about feta. I love learning about ingredients and feta is one of my favorites. Thanks Laura! Feta is one of my favorites as well. Love this idea – I’ve done this same with cookies inspired by Dorie Greenspan and David Lebovitz and then use the more savory cookies as cocktail appetizers. These would be great on their own or as an unusual and lovely side dish. I have never made savory cookies, but they sound delicious. 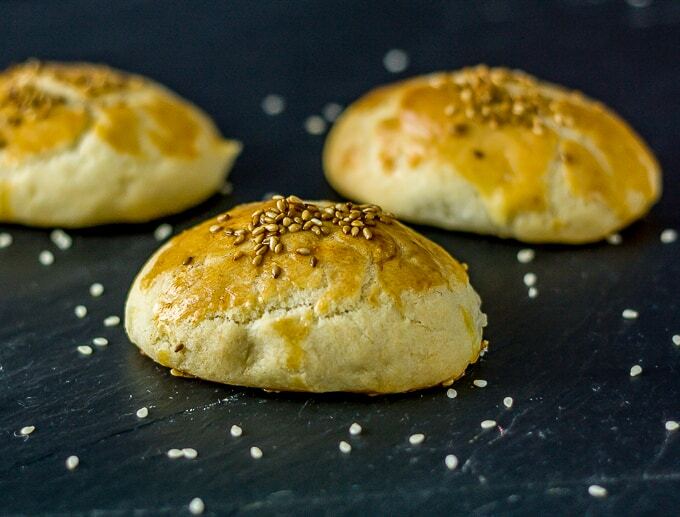 Do you have any recipes for savory cookies on your blog?